Ever wonder who comes to your door during the day while you’re gone? Here’s a simple DIY project to answer that question. Every time someone rings your doorbell, you’ll receive a text message containing a photo of the person. 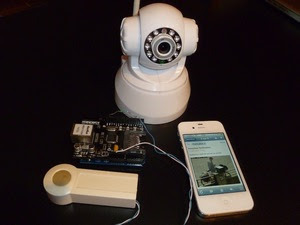 The system can also be setup to automatically take photos based upon motion detection instead of a doorbell press.